This conduct is absolutely unacceptable. It is also completely disrespectful to the reporter’s colleagues not to allow them an opportunity to ask a question. President Trump has given the press more access than any President in history. " "Contrary to CNN’s assertions there is no greater demonstration of the President’s support for a free press than the event he held today. 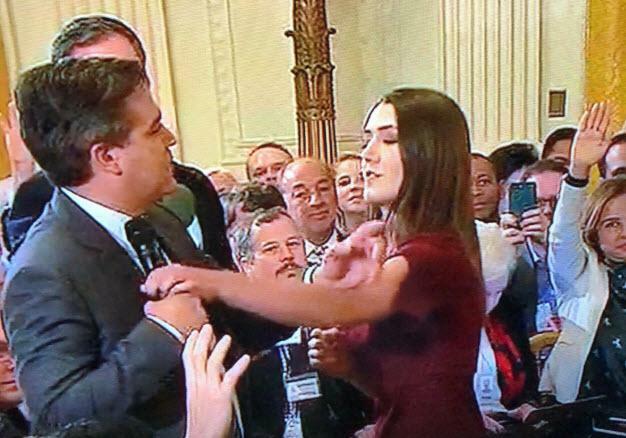 As a result of today’s incident, the White House is suspending the hard pass of the reporter involved until further notice." "I’ve just been denied entrance to the WH. Secret Service just informed me I cannot enter the WH grounds for my 8pm hit"